There are places which make the film look boring and monotonous, but the film’s photography and camera work overshadow the flaws in his direction. The film tends to drag its way with a dull first half, however, the second half is comparatively interesting and engaging, especially towards the end of the film. 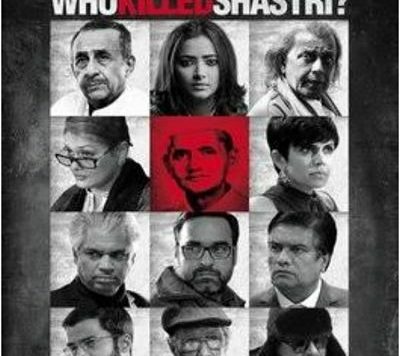 The film falters mainly because of its poor screenplay and average dialogues. 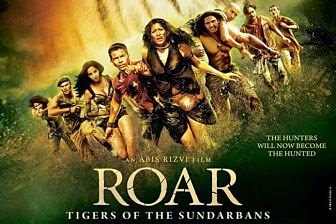 On the whole, despite its decent VFX work, ROAR: TIGERS OF THE SUNDARBANS is a weak film. Those who are not hooked onto Hollywood films won’t mind watching (former actor) Kamal Sadanah’s ambitious directorial debut, which can be applauded for its novelty and decent VFX. Kamal has dared to make an animal-centric thriller, a genre unexplored in Bollywood. You can still watch the film if you are obsessed with the Sundarbans or the tigers (in that order).However, the excessively weak story acts as a major spoiler. Even as a survival thriller, it fails to hold your attention. For how long can visuals make up for a drab story? Roar’s strengths lie in the novelty of the concept and the judicious use of CGI. Sure, the special effects could have been better but compared to standards set by its contemporaries, Roar doesn’t far badly. The absence of distracting songs and dance is a welcome change. Well-researched art direction as well as the breathtaking wide angle shots of the Sunderbans add to its pros. You’d be naive to go into this one looking for top grade acting or direction but if you have liked any adventure film starring Dwayne Johnson, then the Sunderbans are the place for you. Roar is such a bad film that despite going in with no expectations, it shocks you at being utterly stupid. It’s a shamelessly lazy film and comes with no merits of its own. This film stinks of un-intelligence and sheer lameness and is pretty much a time waste for any cinegoer unless you desire to get stoned and trip on a horrid film.